It is with deep sorrow that we announce the passing of our much-loved Mother and Baba on January 27, 2019 at Holy Family Home. With family at her side she slipped away gently into the loving arms of Jesus and Saviour. Nellie was born in Brightstone, Manitoba on April 19, 1934. She received her education in Brightstone, Lac Du Bonnet, and Success Business College in Winnipeg. After marrying Maurice in 1954, they were blessed with two sons, Michael and David. Nellie worked at Co-op Implements, retiring in 1988. 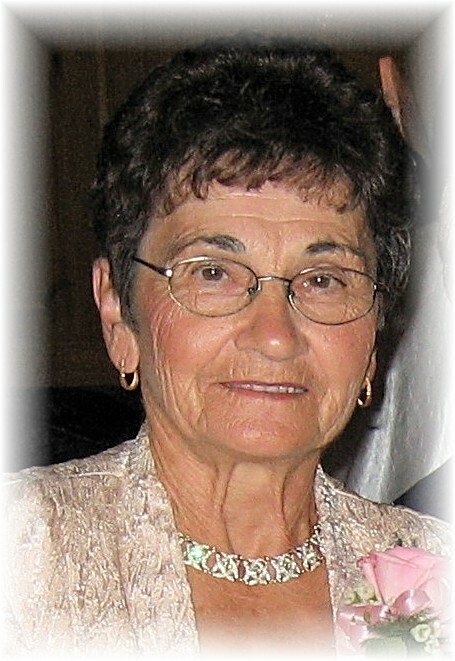 Nellie was an active member of Holy Eucharist Ukrainian Church, and an active member of UCWLC for over fifty years. She enjoyed traveling, and made trips to Hawaii with Maurice, the Vatican in Rome, back to Ukraine to visit family, and visited many other countries throughout Europe and Asia. She also enjoyed her summers at the farm in Shornecliffe with many family and friends. Nellie is survived by: her two sons Michael (Margaret) and David (Darlene); grandchildren, Chelsey and Mikayla; step grandchildren, Lindsay (Andrew) and Darren; step great-grandchildren Brody and Ava; her sister-in-law Verna Morsky of Estevan SK., and Gloria Morsky of Regina SK. She is also survived by numerous cousins, nieces, nephews and friends. She is predeceased by: her husband Maurice; her parents, Joseph and Anna Morsky; brothers Paul Morsky and Nick Morsky; and granddaughter-in-law Michelle Sweers. Prayer service will be led by Fr. Isidore Dziadyk, OSBM, at 7:00 p.m. on Monday, February 4th at Holy Eucharist Ukrainian Catholic Church, 505 Watt St. Funeral Divine Liturgy will be celebrated at 10:00 a.m. on Tuesday, February 5th at Holy Eucharist Ukrainian Catholic Church, followed by interment in Holy Family Cemetery. We would like to thank all of the staff at Holy Family Home, especially the 2nd floor for all their care, love and support for our mother and baba. If friends so desire, donations may be made to the Holy Family Home, c/o Lubov SSMI Foundation, 1085 Main St., Winnipeg MB, R2W 3S1, or to a charity of your choice.